Thanks for adding a link to Mystery Theater! CBS Radio Mystery Theater - Hear and discuss all 1,399 CBS Radio Mystery Theater old time radio shows with episode guide for free! 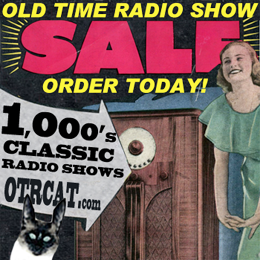 Radio Mystery Theater - Hear and discuss all 1,399 Radio Mystery Theater old radio shows with episode guide for free! Mystery Theater - Enjoy all 1,399 CBS Mystery Theater radio shows with full episode guide for free!